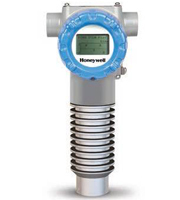 Honeywell’s SmartLine® Non-Contact Radar Level Meter measures distance, level, volume and mass. Based on FMCW (Frequency Modulated Continuous Wave) technology, it provides a more stable measurement than pulse radar and is well suited for agitated process conditions and the most demanding applications. GA Digital are distributors of the Honeywell PMC product range. Specialising in instrumentation and connected devices for the industrial world - IIoT. With years of experience across a wide range of traditional applications and industries, plus direct experience of IIoT and cloud computing, GA Digital are well placed to help you with these rapidly evolving technologies.